This entry was posted in news and tagged MINI 4 Door MINI USA on September 8, 2014 by James Day. 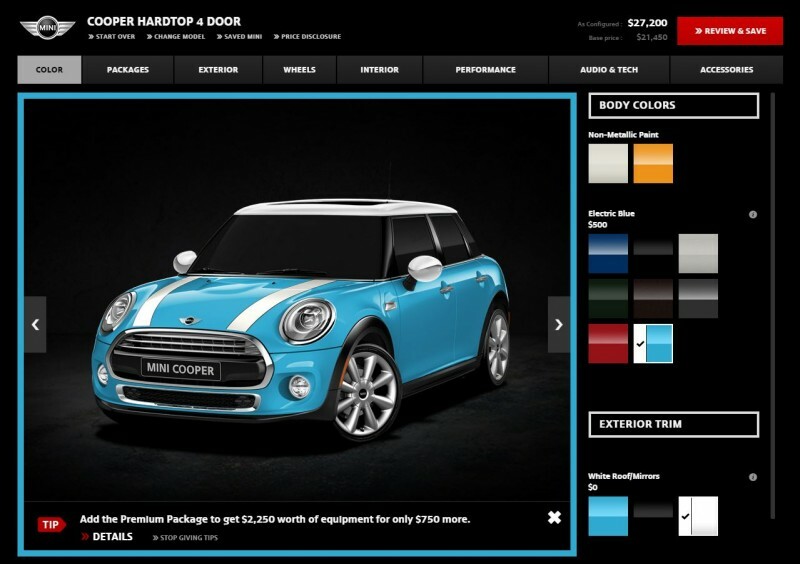 The MINI USA Configurator has been updated with a new interface and the forthcoming MINI Hardtop 4 Door has been added. Electric Blue returns for the 2015 Hardtop in both 2 Door and 4 Door versions. Build a 2015 MINI Hardtop 4 Door at MINIUSA.com.